If you’re looking for a taste that’s both refreshing and rejuvenating but would prefer to avoid the sweet, fruity options that are available – there’s nothing quite like the taste of menthol to recharge your batteries. 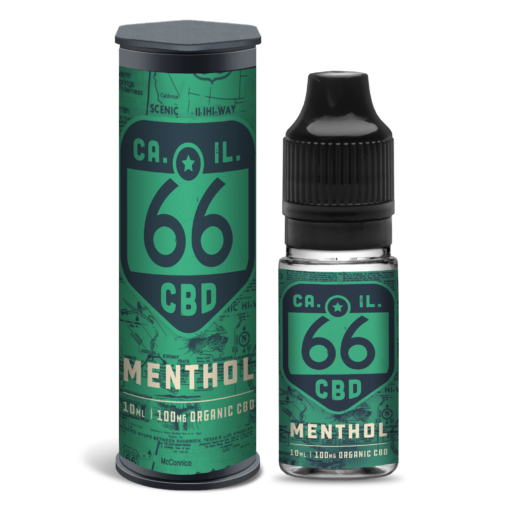 Our Route 66 Menthol CBD e-liquid is a classically cool tasting juice that is compatible with all vaping devices and uses a 40/60 base ratio of vegetable glycerine and propylene glycol to deliver an enjoyable throat-hit and big clouds when you exhale – helping your mouth feel refreshed throughout the day. 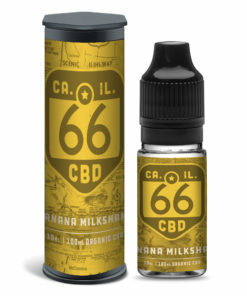 This CBD e-liquid comes in a 10ml bottle infused with 100mg of CBD, helping you to get the most out of your vaping session. And don’t forget, even though you can vape our Menthol CBD oil as it comes, you can also dilute it and enjoy a much less intense flavour. Our Route 66 Menthol CBD Oil is great for refreshing your palate, and don’t forget, we also stock Route 66 Spearmint CBD Oil if you’re looking for a smoother minty flavour. Our UK-based ISO clean rooms help to guarantee product quality. We comply with both the FDA guidelines and distribution law. All rigorous testing required to sell CBD products has been completed. Buy confidently with our safe, secure payment gateway. We always deal with any customer enquiries as fast as possible..
I’ve tried loads of menthol CBD oils and I’m sticking with this one, really rated it. Came in a few days, pretty good experience.